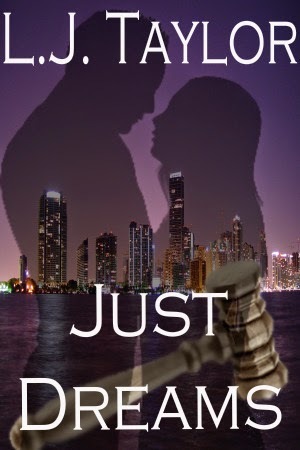 Driven, ambitious, and brilliant trial attorney Kathy Brooks wasn't looking for love when she took on a high-profile wrongful death case brought by bestselling novelist Charles Morgan, Jr. against a powerful government defense contractor. In fact, with her dismal relationship track record, love was the furthest thing from her mind. She had all but given up on it. Having clawed her way up the ranks to make partner at a top tier law firm, she was looking to further her career by winning the case and making a name for herself. Little did she know, however, that her client's secret agenda would raise the ire of rogue government operatives and mercenaries alike who would stop at nothing to make the case go away – including blackmail, kidnapping and murder. To make matters worse, the undeniable attraction between them was darned inconvenient in light of the rules forbidding relationships between attorneys and their clients. What started out as the case of a lifetime for Kathy could end up causing her to risk her heart, her career and even her life. Just how far are she and Charles willing to go to get the win? As the body count rises and the stakes get higher, they’ll have to risk it all if they want to prevail - and it still might not be enough.